The Assisted Living Federation of America defines assisted living facilities as a long-term care option that combines housing, support services, and health care. The Assisted Living alternative is designed for seniors that require assistance with everyday activities of daily living (ADL’s) such as meals, medication management, or assistance with bathing, dressing, and transportation. The senior care help that is needed is readily available in Assisted Living. Independent Living communities offer apartment-style living to healthy and active seniors who do not yet need help with their ADL’s. Independent Living communities offer many services and amenities like: full kitchens; meal plans; local transportation; tours and programs; on-site doctor’s visits; salons; exercise rooms; many common areas for your enjoyment. However, if life begins to change, senior care help can often times be provided for you. For senior's suffering from Alzheimer’s disease and other cognitive disorders, Memory Care Communities provide the special services to help your loved one. 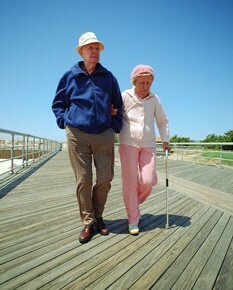 Similar to Assisted Living Communities - Memory Care Communities offer seniors assistance with their ADL's. But in addition, Memory Care communities offer specialized activities and programs that focus on sensory stimulation. Residents are in a much safer and stimulating environment, with senior care being provided by a loving, well trained and knowledgeable staff. These communities offer a variety of care options all on the same campus. The level of care often-times includes: Independent Living; Assisted Living; Memory Care and Skilled Nursing. The individual senior care components are similar to what has already been described. The primary difference is the financial commitment required and available benefits provided to a resident that begin in Independent Living and remain through the other levels of senior care. This type of housing is a state-licensed, group living arrangements, licensed as Assisted Living and designed to meet the needs of people who cannot live independently and are in need of care typically found in an Assisted Living community. These homes are located in neighborhoods and offer a true living at home type of setting. When needed, help is provided with daily activities such as eating, walking, toileting, bathing, and dressing and other senior care. Skilled nursing care facilities, commonly referred to as Nursing Homes, are licensed healthcare facilities that are inspected and regulated by the state’s Department of Health Services. Skilled – Nursing Homes offer long- and short-term senior care for individuals who need rehabilitation services or who suffer from serious or persistent health issues, such as Alzheimer’s disease, that are too complicated to be tended to at home or at an Assisted Living or Memory Care facility.